If you haven't noticed, I really like to combine challenges. So I've done it again for this card. First, I used the Can You Case It#110 here for the sketch. And then the Splitcoast Color Challenge#573 here. The color challenge is to choose a row of colors from a bingo card and I chose the row with Old Olive, Daffodil Delight, Whisper White and Rich Razzleberry. 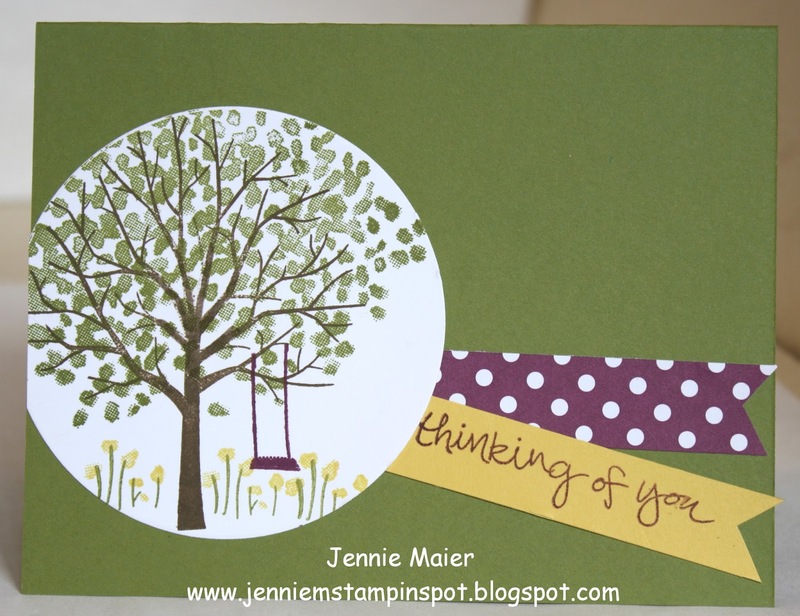 Sheltering Tree is the stamp set with a bit of the Brights Color Collection DSP Stack.